All Red Dead Redemption 2 Shows Ranked - Shall We Go to the Theatre? Rockstar Games, the developer of the blockbuster Western, Red Dead Redemption 2, creates worlds that players can live in. In RDR2 and 2004’s Grand Theft Auto: San Andreas “living” means managing your character’s weight for stat boosts. It requires the player to make sure Arthur eats enough, but not too much, to stay healthy. Sometimes “living” means that characters have a place to live, like RDR2‘s camp. “Living” also means being surrounded by life, which includes ecosystems bustling with animals and plants, of course, but also by art—by the bits of entertainment that players can passively engage with. Driving down the neon streets of Vice City as a satirical radio show plays. Pulling up a chair in a Liberty City comedy club to hear Ricky Gervais’ new material. Taking a break from hotwiring cars for Simeon to smoke some weed and watch cartoons on Franklin’s mom’s couch. Red Dead Redemption 2 upholds this lineage of in-game entertainment. In three of the game’s towns—Valentine, Saint Denis, and Blackwater—players can attend shows. These range from tent-housed morality tales told via slide show to performances by mo-capped fire breathers and snake charmers in plush vaudeville theaters. They also range in quality. We’re here to help you separate the wheat from the chaff, or to borrow a metaphor from RDR2, the bespoke root system from the Evergreen Huckleberry. 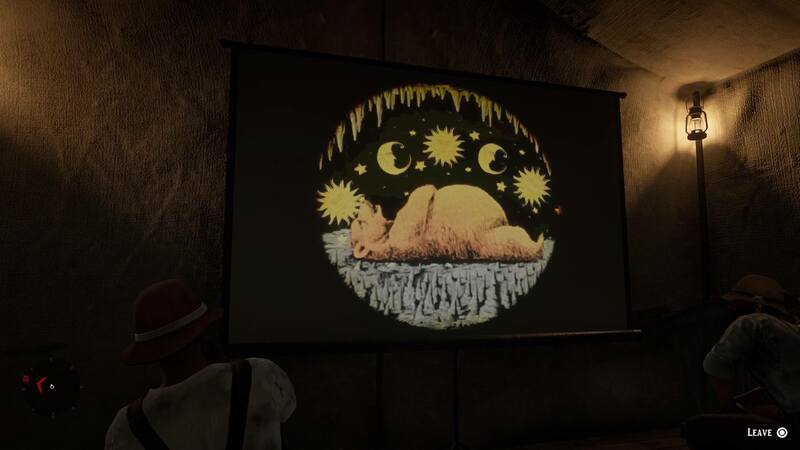 Especially early on in the game, Arthur will need to save money for ammo, food and lodging; this list will help you enjoy the electric wonders of the theater without breaking (into) the bank. Spoiler Warning: This list contains major spoilers for Red Dead Redemption 2’s main quest and some side quests. Truth be told, most of these shows will do in a pinch. While some are better than others, each performance highlights Rockstar’s mind-melting commitment to detail. “Mr. Bear’s First Winter” may not be especially entertaining, but it’s still impressive. It helps to build a coherent world. If Red Dead Redemption 2‘s world is like our own, not every movie is going to be a winner anyway, right? Maybe Arthur enjoyed it as little as I did. Is Red Dead Redemption 2 a Walking Simulator?